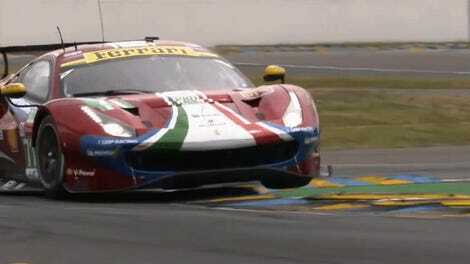 It’s 24 Hours of Le Mans week! How will you, a fan of only the No. 69 Ford GT and none of the three others that look nearly exactly like it, ever manage? Never fear! Friend of Jalopnik Andy Blackmore put together his annual Spotter Guide with each car’s unique marks just for trying times like this. Nice. 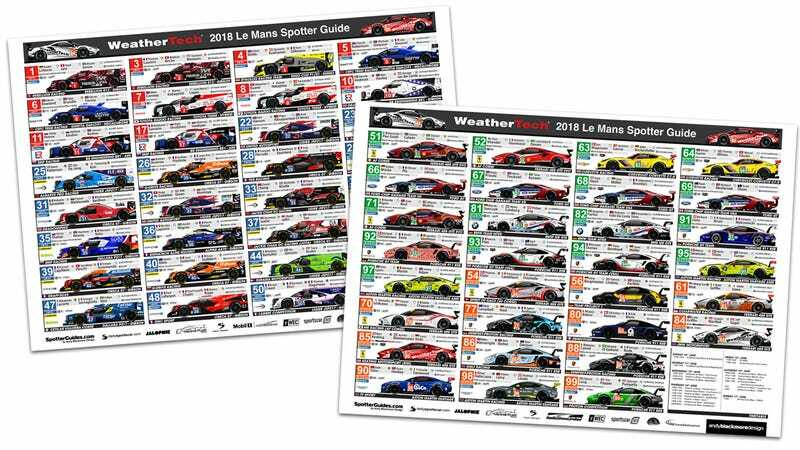 The annual Spotter Guide features not only a tiny graphic of each car, but other vital information about each team, including the team and car names, driver list, garage number, grid location, tire manufacturer, primary series and even social media handles. Scrutineering for the race happens today, so there may be some surprise livery changes coming today. Bookmark Blackmore’s landing page for the guide here before the actual race to make sure you’ve got the latest version with all the correct liveries. In the meantime, download the current version here, peruse the entry list and tell us your favorites down below. Who’s going to win? Who’s your favorite underdog? And which car looks the best? Just kidding on that last one—we all know that’s the Pink Pig-liveried Porsche 911. That’s not even up for debate.